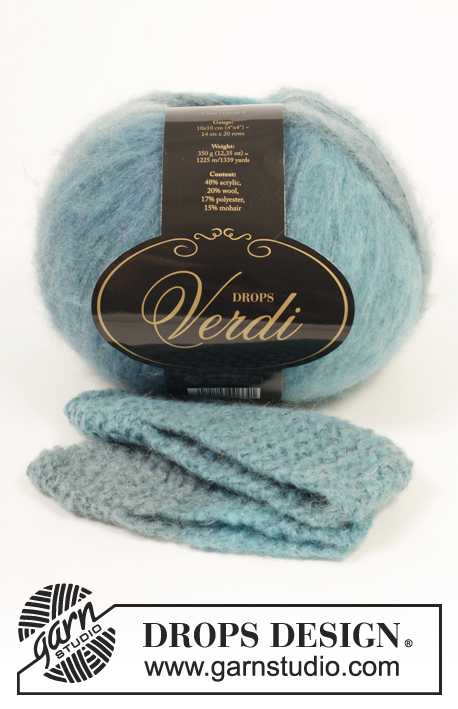 Knitted DROPS slippers in garter st in 2 strands ”Verdi”. 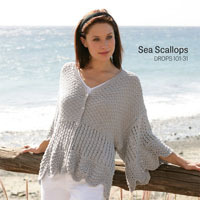 DROPS STRAIGHT NEEDLES size 8 mm / US 11 - or size needed to get 10 sts x 18 rows in garter st with 2 strands = 4'' x 4'' (10 x 10 cm). 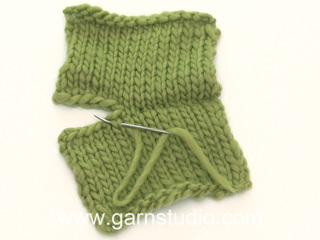 Cast on 19-19-21 sts on needle size 8 mm / US 11 with 2 strands Verdi - read DOUBLE YARN TIP (let the yarn ends be approx. 20 cm / 8''; used for assembly). 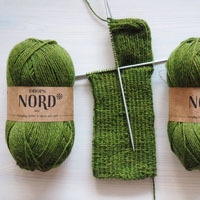 Work in GARTER ST – see explanation above, back and forth on needle until piece measures 18½-20½,-23½ cm / 7 1/4"-8 1/8"-9 1/4" (with a light pull) - REMEMBER THE KNITTING GAUGE. 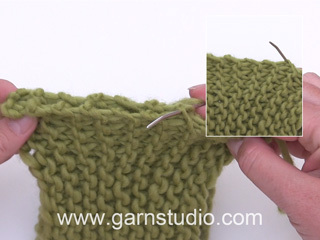 Work next row from RS as follows: Dec 5-5-5 sts evenly by K 2 tog – READ KNITTING TIP! = 14-14-16 sts. K 3 rows. 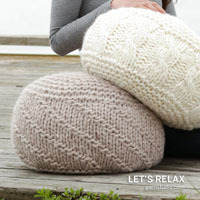 Then work 1 row while dec 4-4-4 sts evenly by K 2 tog = 10-10-12 sts. K 1 row. On next row, K all sts tog 2 by 2 = 5-5-6 sts. Piece now measures approx. 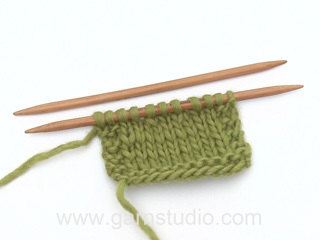 22-24-27 cm / 8¾''-9½''-10½'' (with a light pull) Cut the strands (let the yarn ends be approx. 20 cm / 8'' long; used for assembly) and pull it through the remaining sts, tighten tog.